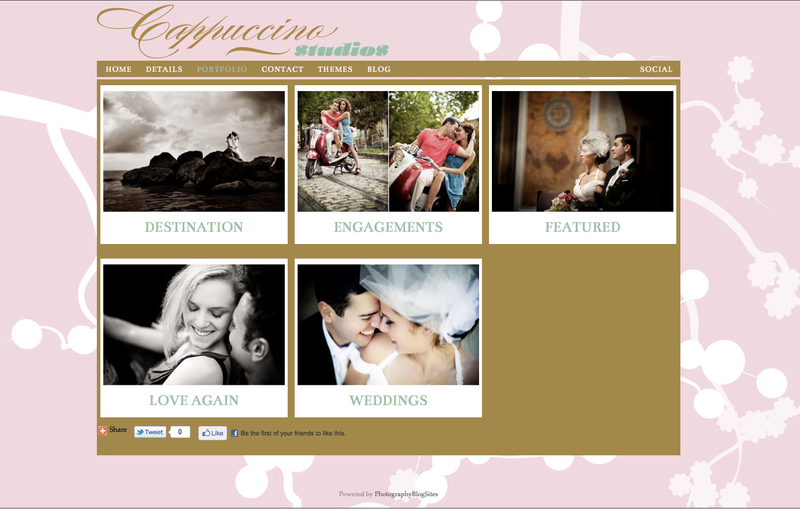 Announcing our Latest Theme Cappuccino! Announcing our latest, most versatile Photography BlogSite theme yet. The theme you’ve been asking for. 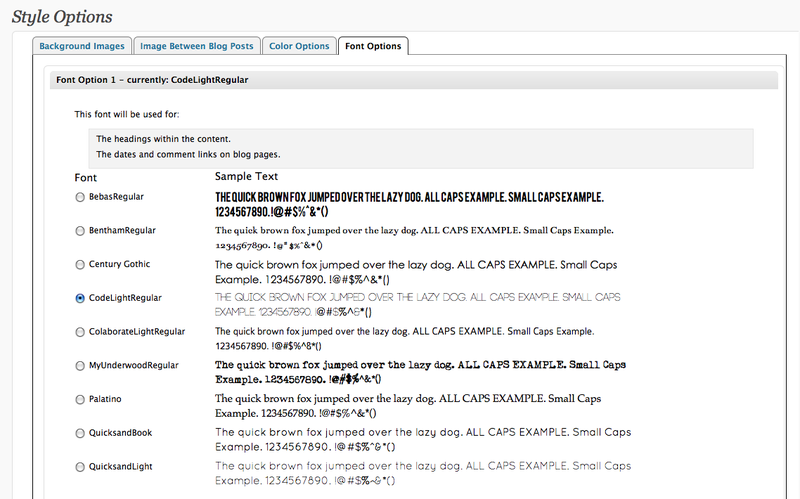 We have added tons of new color options including the ability to choose the color of your content area. 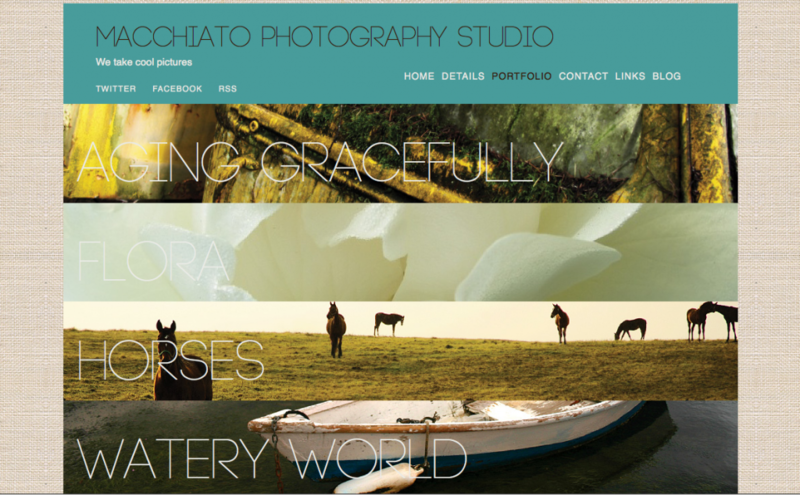 You can even make it transparent and use a custom background image to help create a distinctive look. 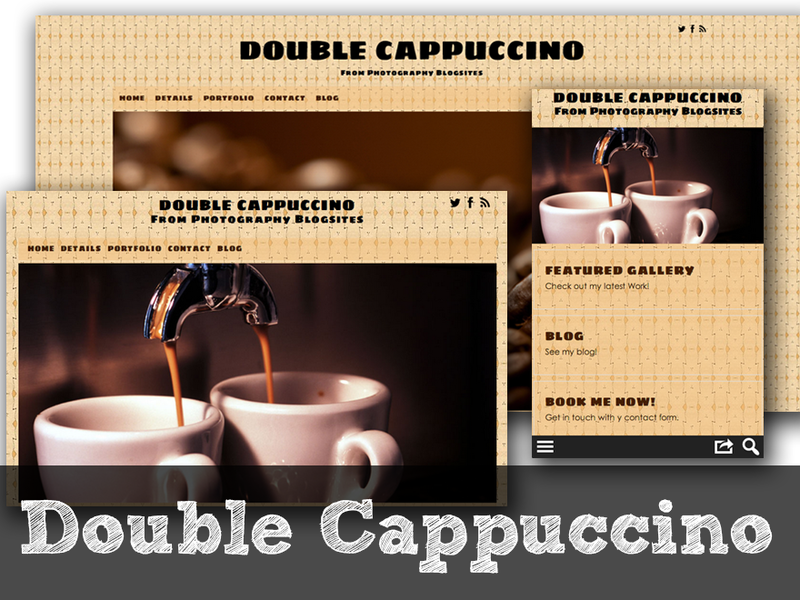 You can see a live demos of how completely different you can make Cappuccino look here and here. As with all our themes, you can create a completely unique BlogSite with many home and blog page options, tons of font choices, and endless color choices. Add video, music, unlimited galleries, unlimited pages or brand your site on your own by adding your logo and custom patterns. If you are currently using another theme just go to “Appearance->Themes” to take Cappuccino for a test drive. * Offer good through June 30, 2011 and applies to the first year only. Regular price $399/year. Photo credit: Michelle Lindsay Photography. 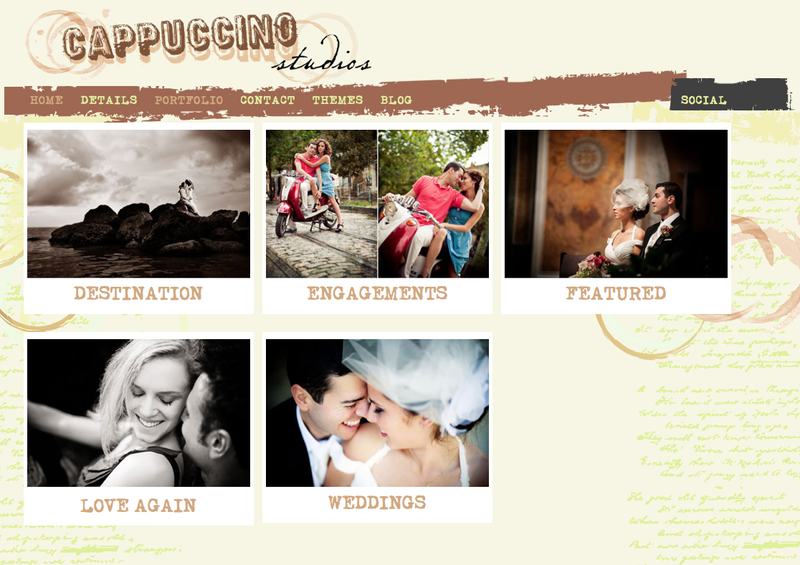 Our latest theme Macchiato is our most versatile theme yet. 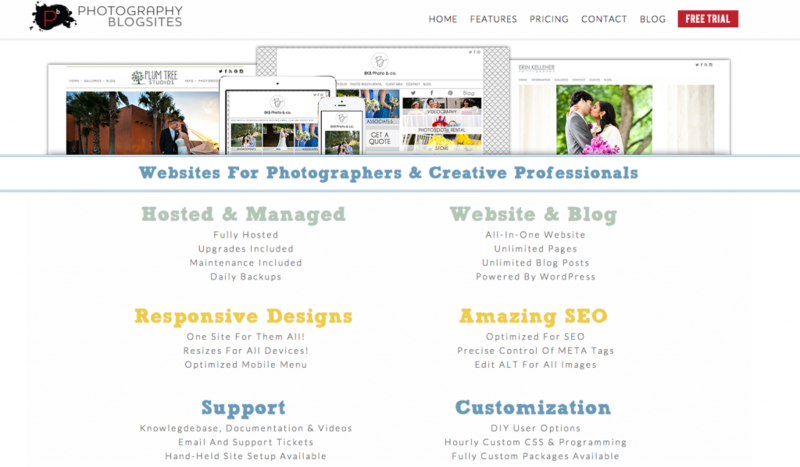 It has a sophisticated, fine art feel, with all the bells and whistles of our other WordPress BlogSites. Macchiato has three areas to add font choices with 9 font choices for each. That is 720 options for just your font choices. You can create a look that is anywhere from a soft whisper to a loud scream, just by switching up your type choices. There are 5 color choice areas, besides the option to change the color of the header and background. We’ve preloaded a bunch of fun backgrounds. 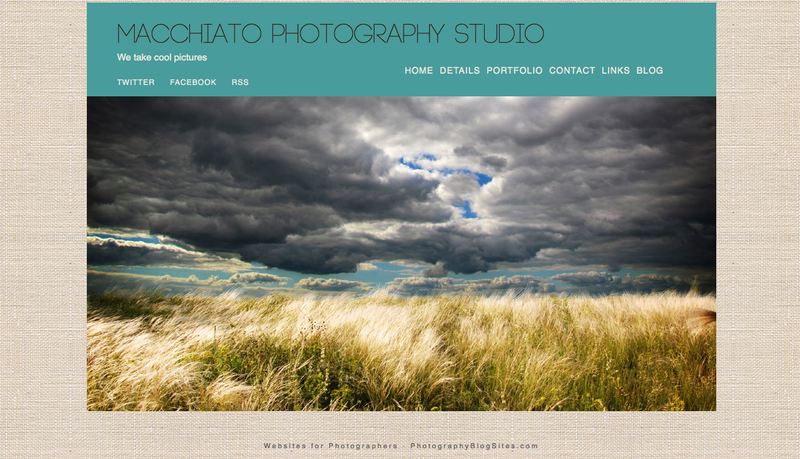 As with all our themes feel free to add your own and create a unique brand image. It is so easy. 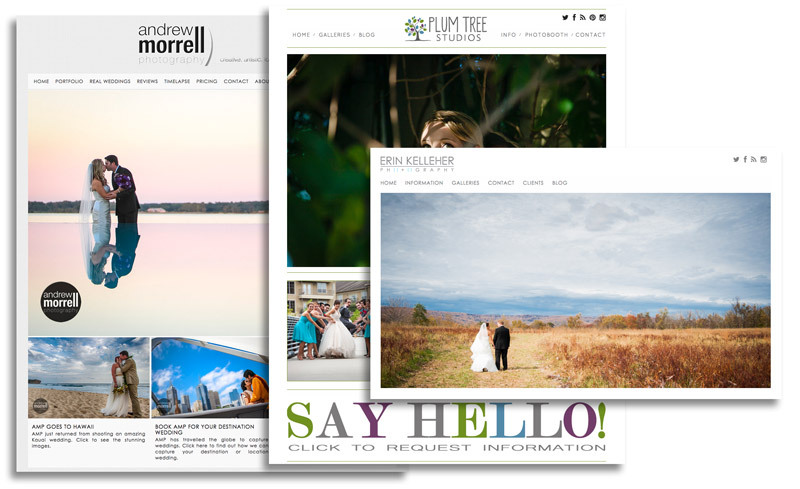 A new feature we wanted to add to this theme is that of fullscreen image galleries. To see beautiful images fill an entire screen makes them that much more impressive. Until now the common belief was that only Flash is capable of this. Not true. Not anymore. In fact, we loved this feature so much we added it as an option on each of our other themes also. You can choose our regular galleries or full screen galleries. We couldn’t be prouder of Macchiato. 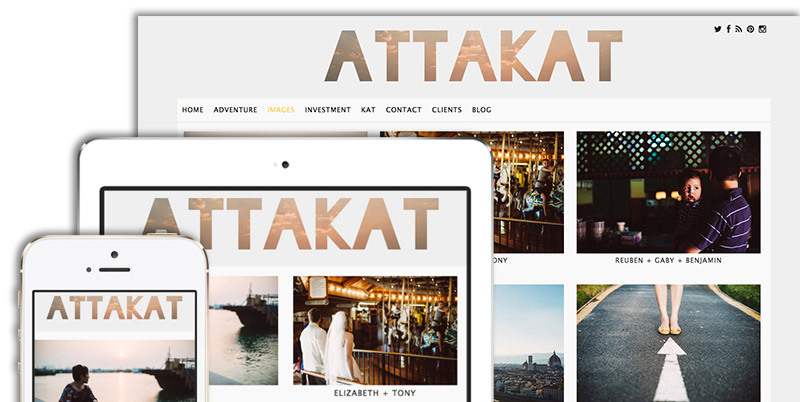 As with all our themes you can switch back and forth with a click of a button under appearance. Check it out, play, have fun with it. Let us know what you think. 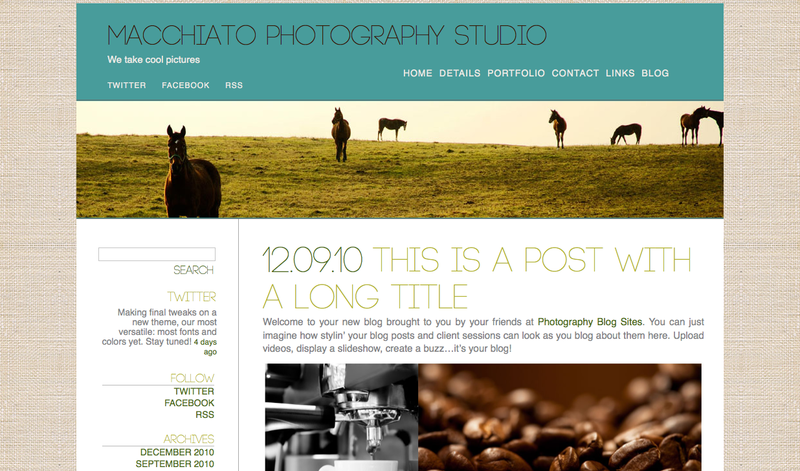 Posted In: New Features, New Theme.